Crude glycerin can come from many sources, including fat splitting, saponification and transesterification. Crown designs each glycerin plant to make a high-quality product from any of these feedstocks by first removing the majority of the MONG (Matter Organic Non-Glycerin) and enough water to concentrate the glycerin to at least 80% purity. A good crude glycerin from a biodiesel plant already meets this specification, so this pretreatment step is not necessary. 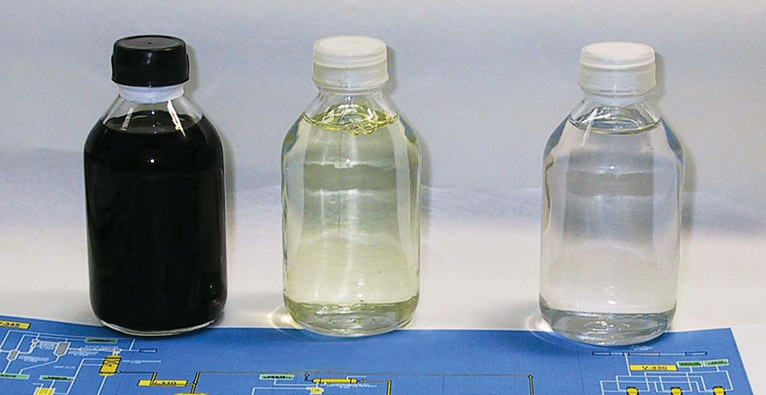 This pretreated glycerin is refined into a 99.7% pure product by removing the remaining salt, unreacted fat, water and other impurities by several vacuum distillation steps followed by a final polishing with activated carbon.